The 25th of April marks a day of much celebration throughout Italy. Although marking different festivals and traditions in various parts of the country, all celebrations are to honor St. Mark. Around the world St. Mark is celebrated in various ways and ascribed particular importance. Acting as the patron saint of Venice, he plays a particularly important role in this Northern city. St. Mark’s Basilica, the cathedral church of Venice, is the most famous of the city’s churches and an incredible example of Italo-Byzantine architecture. The cathedral is located at Piazza San Marco, named for the patron saint and is connected to Doge’s Palace, also not to be missed. St. Mark’s Basilica is identified by its opulence, featuring gold mosaics and intricate statues, which demonstrate Venetian wealth and power through the ages. In fact, the cathedral is often referred to by its nickname, Chiesa d’Oro, or Church of Gold. Venice has incredible architecture throughout, and a walking tour of the city is the best way to experience it. 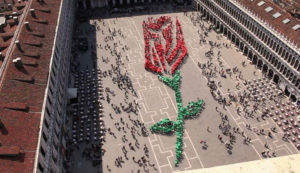 On this special day in Venice, the Festa del Bocolo is held, or the Rosebud Festival. On this day it is common for men to offer a single rosebud to the woman that they love. 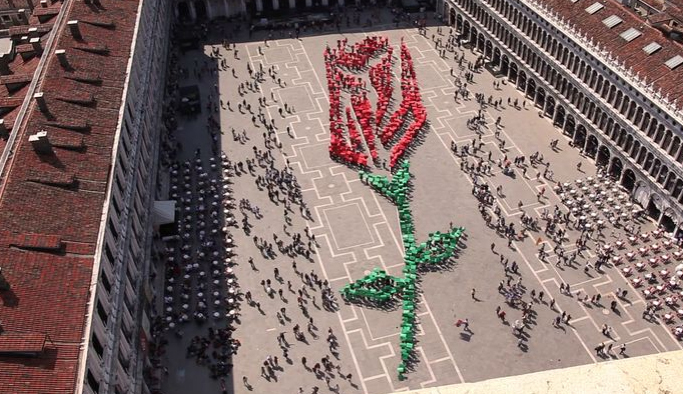 On a beautiful spring afternoon in Venice, this can be a lovely event to witness or take part in. The tradition of the Festa del Bocolo follows that, around the eighth century a man of lower social standing fell in love with a Venetian noblewoman. In an attempt to win her father’s approval, he took part in a distant foreign war. He was fatally injured during battle, but, according to legend, was able to pick a single rose from a nearby rosebush. In his last words he asked a companion to bring this single, blood-stained, rosebud to his lover as a final show of his affection. The Feast of St. Mark also coincides with Italian Liberation day. So, be prepared for many public offices to be closed. On this day, however, you’ll be able to take part in the solemn procession commemorating the Saint’s martyrdom, fresh food markets throughout the town, and local feasts throughout the city. A day as vibrant as this can be particularly enjoyed from Venice’s world-famous canals. Opt for a gondola ride at this time of year to see Venice honor their patron saint from the water. St. Mark’s day is also celebrated in the Sardinian town of Tresnuraghes. 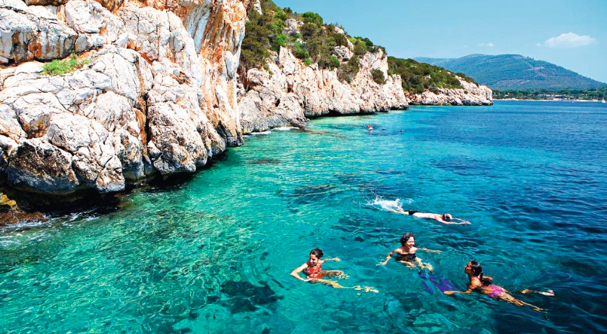 Sardinia is the second largest island in the Mediterranean, after Sicily. In this mid-sized town, Tresnuraghes, shepherds offer and prepare their sheep for feasting and townspeople all cook contributions for the large meal. The feast is meant as a social gathering to bring together the people of Tresnuraghes and is enjoyed long into the night with flowing wine and every type of Italian dish. Looking to delve deeper into the island life enjoyed by Sardinians and Sicilians? Opt for a complete Sicilian experience, here. The unique cultures of these slightly more remote island Italians offers rich insight into the plethora of cultures present in Italy. Have you ever experienced a festival of roses or flowers before? How do you imagine the feeling of the city is different from the canals as compared with the streets? Start to visit Amazing Places that you haven’t visited yet.